The anonymous messaging app may not be quite as anonymous as we thought - but don't worry, there is a way to fix it! Sarahah, the anonymous messaging app that has been the surprise hit of the summer, has got many of its users angry after it was revealed that the company has been secretly storing user information. The Intercept reports that the app has been saving all the contacts in your phone as "it immediately harvests and uploads all phone numbers and email addresses in your address book" when downloaded. 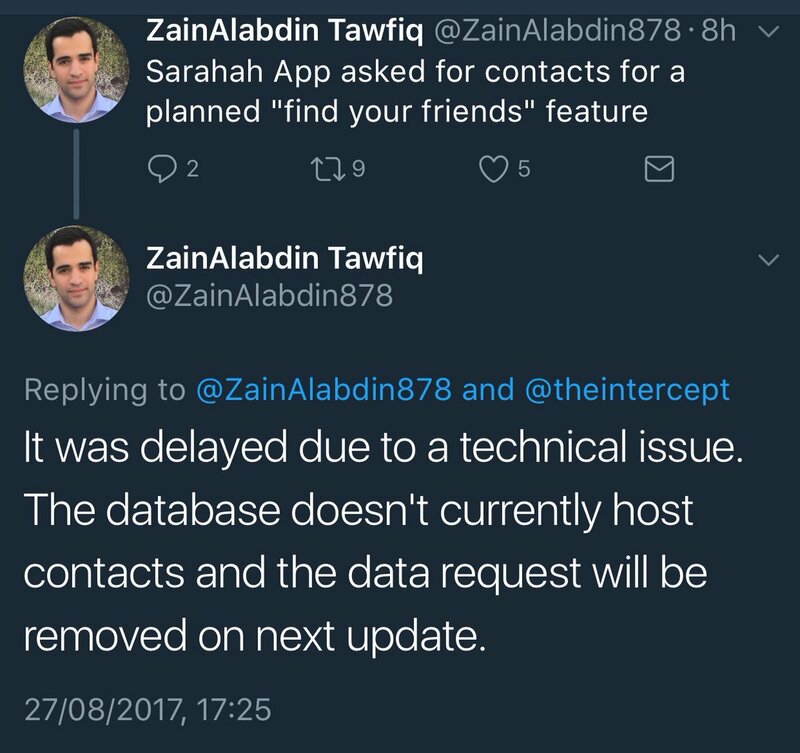 While some users do get asked permission for access to contacts, the uploading to Sarahah servers was not disclosed. The issue was spotted by Zachary Julian who had a monitoring app on his phone that flashed up a warning when he downloaded Sarahah. 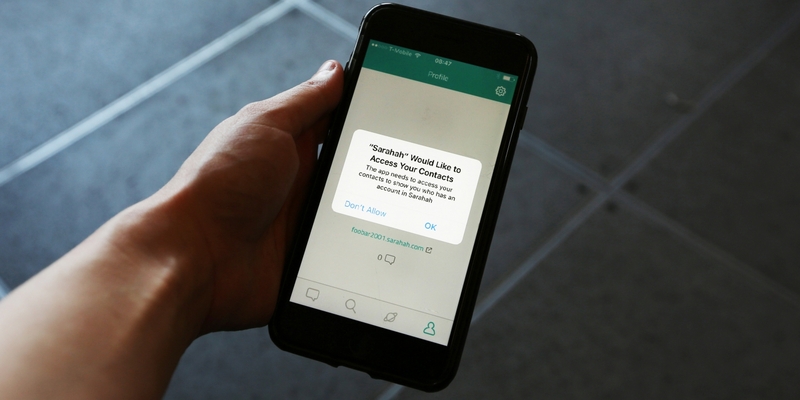 The company have since responded to the article, with Sarahah founder Zain al-Abidin Tawfiq claiming that the contacts were being saved for a 'find your friends' feature on the app that has yet to appear. He also stated that "the data request will be removed on next update." 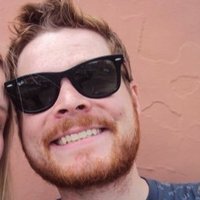 Delete your Sarahah app, turns out it hacks and collects your contacts and private informations from your account. Let everyone know! So, if you are concerned, just make sure you are protecting your contacts next time the app asks for any extra permission.